One bright light in this sea of mediocrity and tech mono-culture is San Pedro Square. A great group spot for parties, coffee meet ups, and first dates. Need a place to take your out of town business associate? 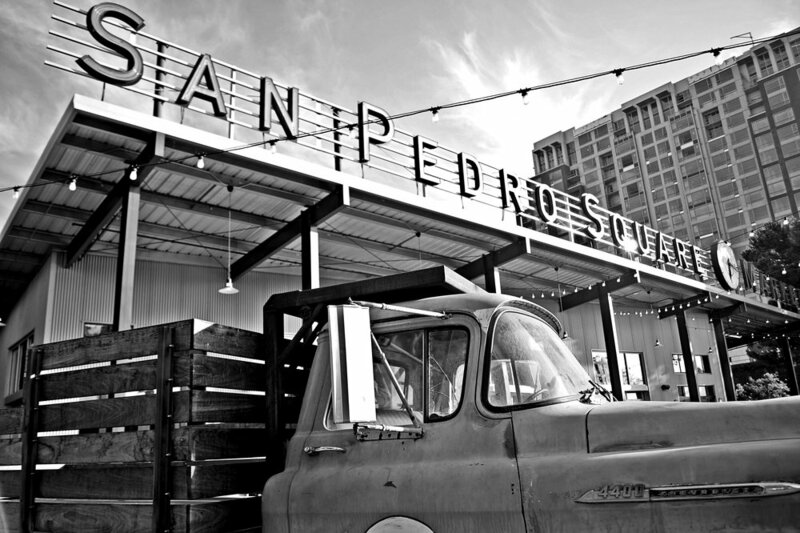 San Pedro Square is the perfect place in San Jose. With almost twenty different options for food ranging from pizza to pho, there are affordable options for almost everyone. My favorites? Phonomenal Noodle House, Konjoe Burger Bar, and B2 Coffee. While car-less me can just walk the two miles from my house, those burdened with vehicles can find parking in the multi-level garage across street and validation from a number of businesses inside. I love the long communal wood tables, the outdoor space, and the number of choices available for food. One positive for San Jose: a wide variety of cuisines are available in its innumerable strip malls.